Adobe Photoshop is a very important and crucial lifeline which allows designers and non-designers to test and apply their creativity to all different kinds of creative projects. Be it simple or complex, Photoshop and its army of tools are always ready to help and help you achieve your creative goals. Brushes, of course, play a huge role in Photoshop. There are numerous types of photoshop brushes readily available in the software. Apart from them, there are brushes developed which can be fetched and downloaded from third-party sources. 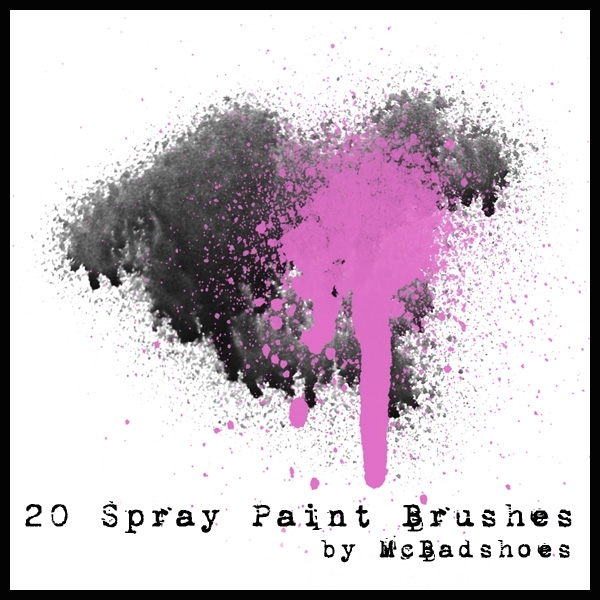 In the following compilation, we have listed latest free spray brushes! You can also see Shape Photoshop Brushes. 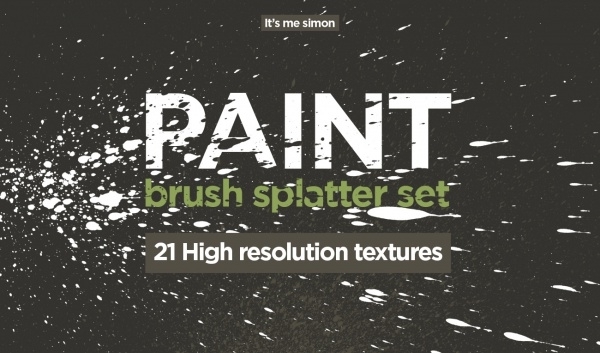 This spray brushes set is a perfect fit for users looking to diversify their creative designs. This set contains 10 spray paint brushes which are created and developed with a can of spray paint and scanned the same. You can also see Grid Photoshop Brushes. 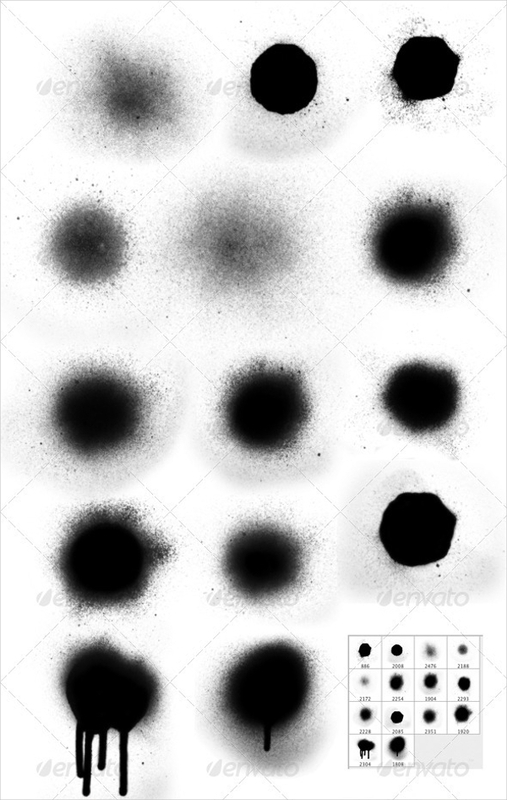 If you’re working on a grunge-themed graffiti design project, download and use this high-resolution brush. 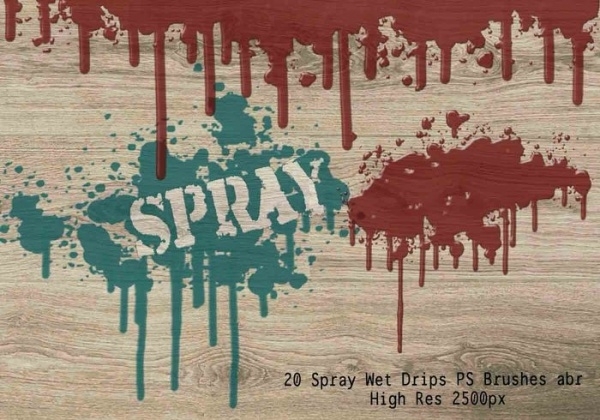 The spray brush features rusted splatter and drip patterns. You can also see Photoshop Oil Brushes. 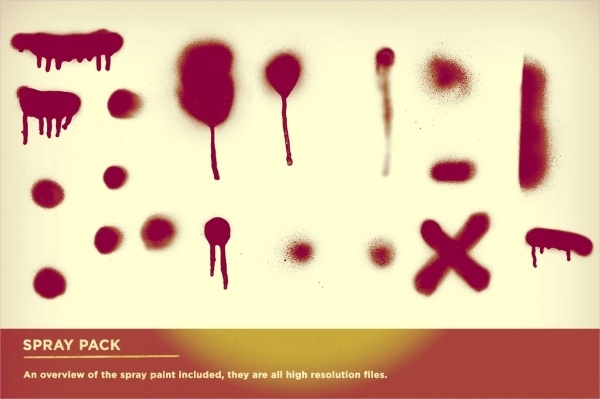 Try this set of dozen versatile spray Photoshop brushes. They are high-resolution and effective enough to change the overall look and presentation of any project they are used in. 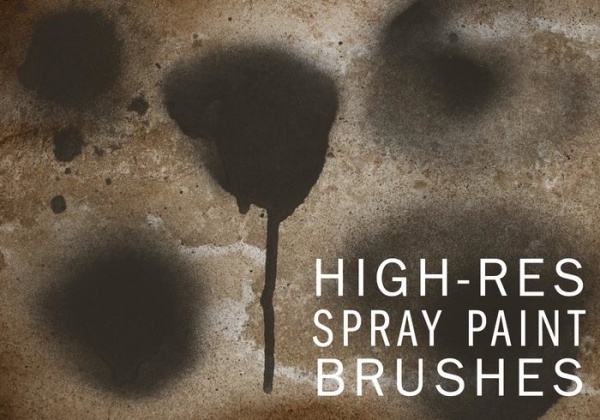 If you need to incorporate interesting spray textures into your projects – online and offline – this set of 36 spray brushes should prove as sufficient and efficient for the job. 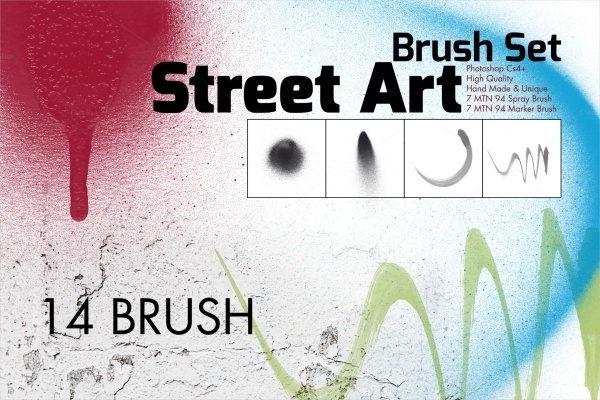 If street art is what you’re looking to add into your creative projects, download this set of 14 street art spray brushes. All of the brushes in this set are distinctive and exist in high display resolution. 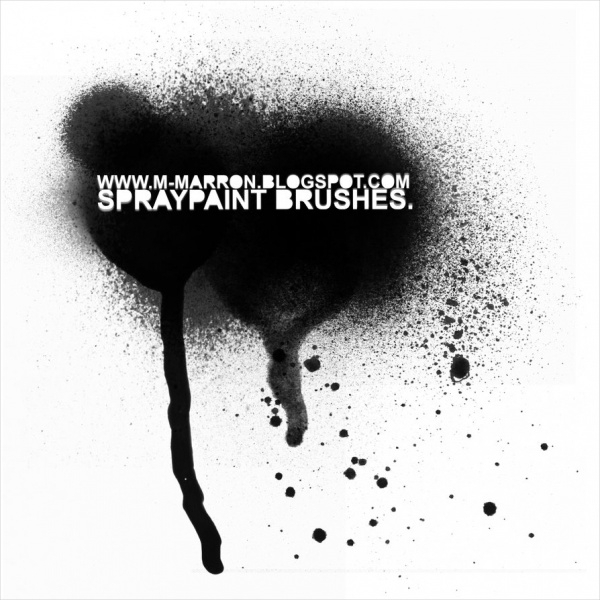 This brushes vector features multiple black spray drips. These can be used in a creative manner for works which belong to the gothic genre. You can also use them to develop background and wallpaper design. 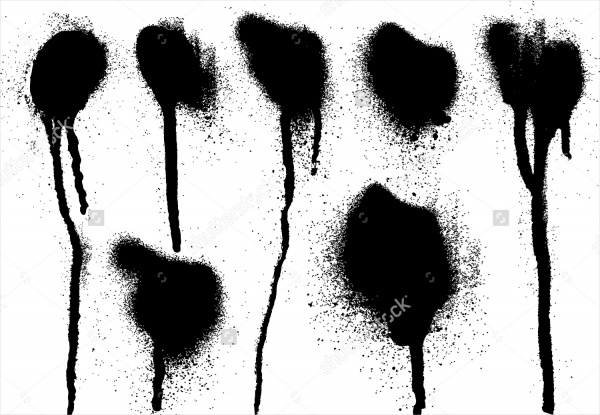 This collection features a bunch of ink splatter effects in 21 images. 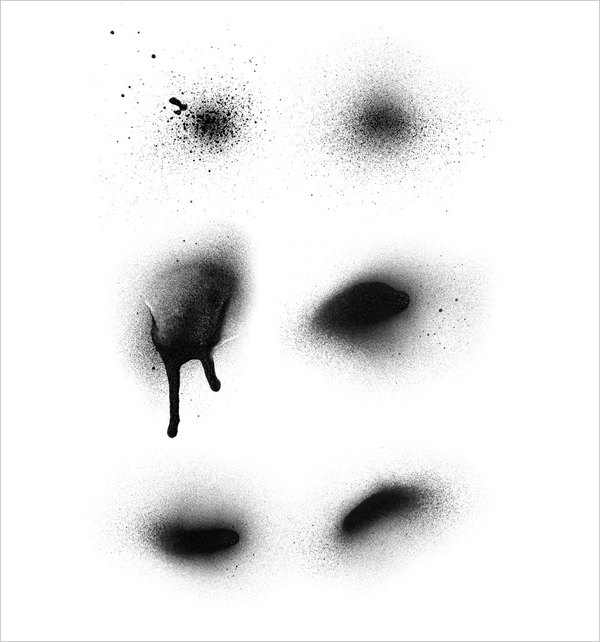 The images are in JPEG format and the ink splatter effects are made using black and white colors. 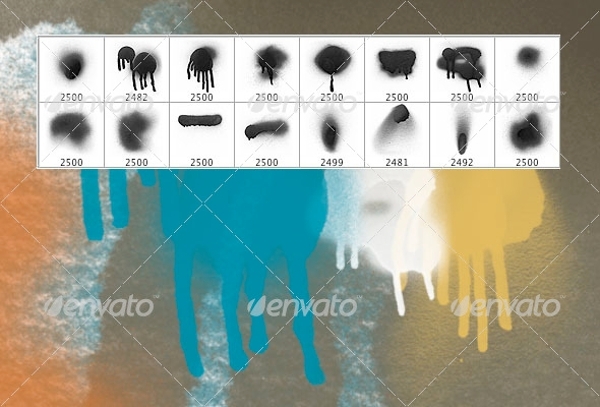 This is a set containing 16 handmade spray Photoshop brushes which can be easily downloaded and customized in used for all kinds of graphic and web design undertakings. 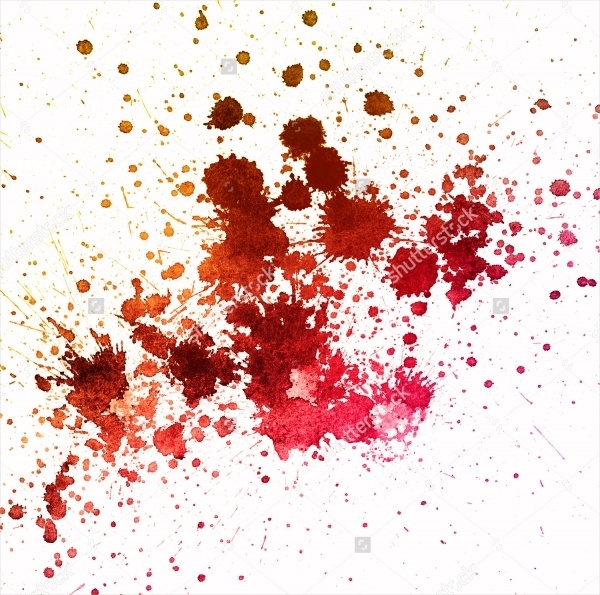 Check out this photorealistic blood splatter Photoshop brush which you can use in all your projects – web design, graphic design and print. The vector is fully-editable and can be revised in all aspects. If grunge design is your thing, you must not miss out on downloading this compilation of 16 high resolution Photoshop brushes for creating grunge spray paint artwork. 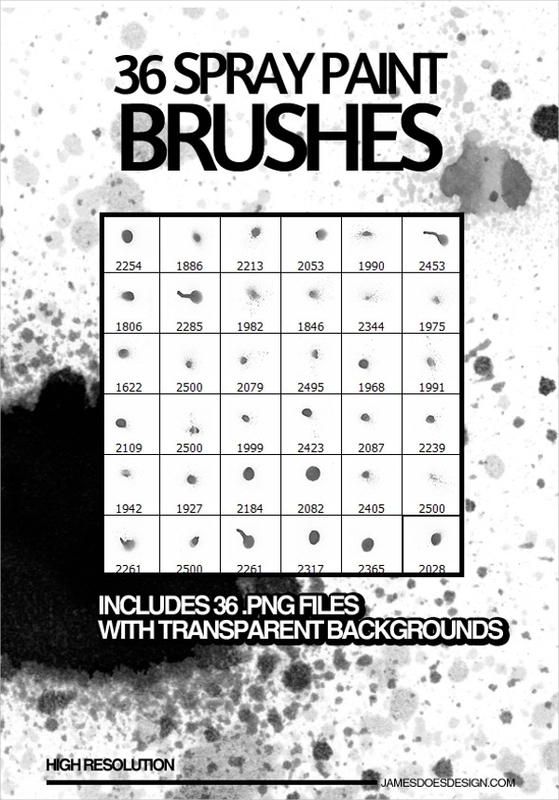 This pack of brushes is perfect for web, graphic and print projects. 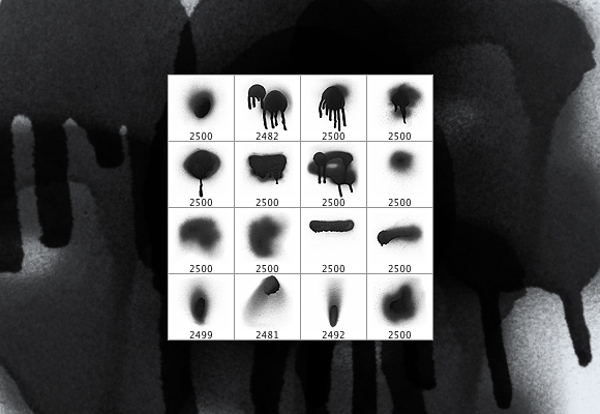 Take advantage of the 40 individual spray paint marks which are available in this set of Photoshop brushes. Need to say that these brushes are multipurpose, compatible and high definition. 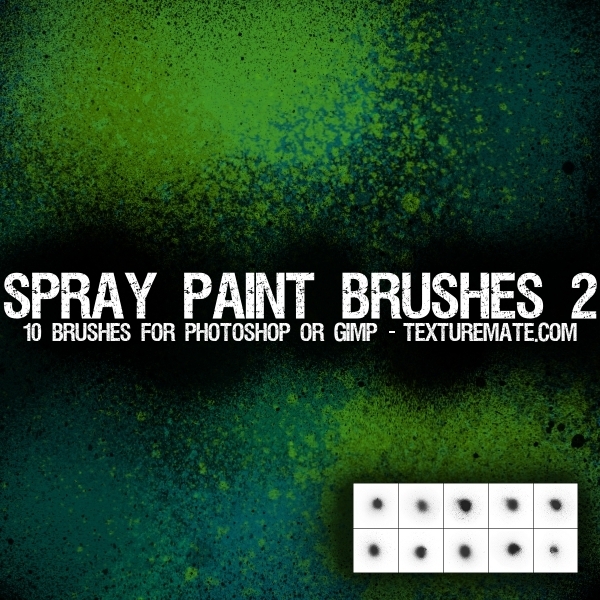 This set contains 14 High resolution Spray Paint bushes having a display resolution of up to 2000 pixels. The brushes were created using real spray paint on bristol board and transformed into brushes. 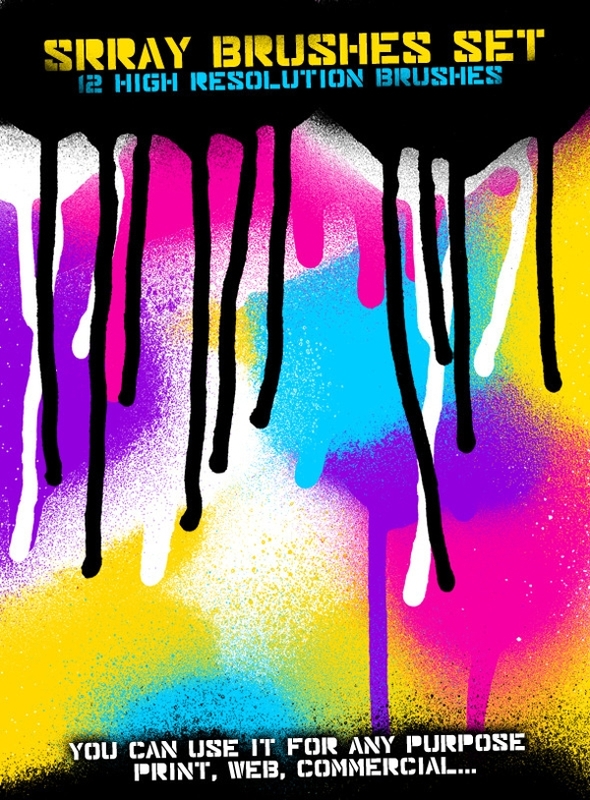 A dozen of high quality colorful sprays splatter brushes. This another must-have set of brushes which you could store in your library of brushes and use in ongoing and future projects. 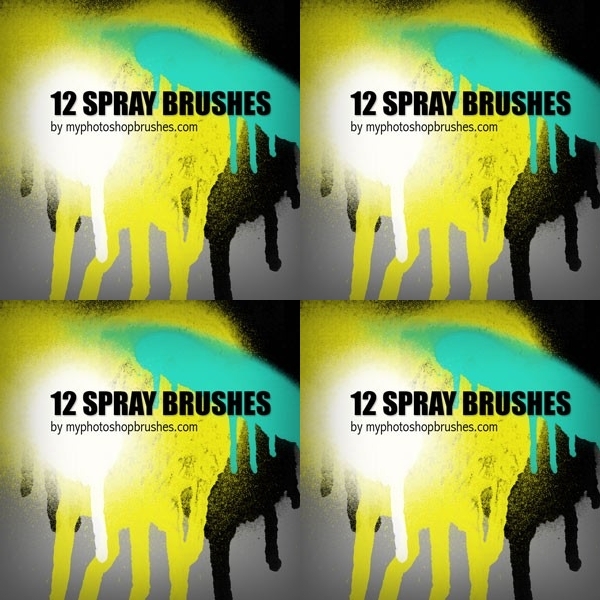 Download this set of 18 spray paint brushes available using all different colors. Use them to bring out or improve the versatility of your online and offline creative gigs. 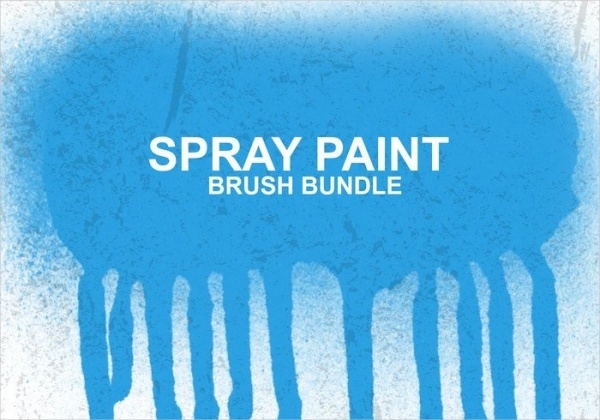 This is a freebies pack of 6 spray brushes. Each spray brush carries a unique impression. All of them are high resolution and a mix of splatter patterns. This set is easily-to-download. No two spray brush impressions are the same. That’s why you find that there is an extensively growing variety of spray brushes available on the Internet. It’s always a good idea to download all kinds of spray brushes and keep them in your library for future use. The afore mentioned brushes we have provided are the latest and best in this category.